As you look into your family's history, you may find yourself searching for a family crest to add dimension to your research. Originally the three-dimensional portion of the coat of arms that stood up from the rest of the design or decorated the helmet of a knight, the crest gradually became known as a symbol for a family. According to Ancestral Findings, not every family has a crest. However, the internet makes it easy to find out if yours does. You'll need to decide on a branch of your family you want to research and trace that family name back as far as you can. Your results will be more specific and accurate if you can determine the origin of your surname. All Family Crests - This site lets you look up your family crest by clicking on the first letter of your last name, or you can search by typing the name into the search field. Keep in mind, many names have several different spellings, so you may have better results browsing by letter. FamilyCrests.com - If you have a Scottish last name, this can be a good resource for family crests. You can search for your name by clicking on any product they offer and typing your name into the search box. However, you won't be able to see the crest without purchasing something. SurnameCrest - This site has more than 500,000 names and their associated crests; however, they are primarily names from the British Isles. If you have a last name from this area of the world, it's a good place to look. You can just type the name into the search box. Because most heraldry sites are selling products with family crests on them, they aren't always devoted to providing you accurate information. It's always a good idea to check more than one source. That way, you can compare your results to make sure they are correct. After you have found your family crest, take a few minutes to check out the meaning behind the symbols in it. Fleurdelis.com is a great site for this type of research, as it breaks down all elements of a coat of arms and crest and clearly defines what each portion of the design means. You might consider adding your family crest and coat of arms to your genealogy files. These items can provide another dimension to your research, and it can be thrilling to look at the symbols that have represented your family for centuries. You can use electronic designs to emblazon your family history on correspondence, your website, or a book of your research. Many sites allow you to purchase the designs for a few dollars. You can also have an artistic family member draw the crest and then scan the image for use in your genealogy work. If you can't find your crest online right away, don't despair. Take some time to try to research more of what you already know. Narrow down the family's origin even more. Did they emigrate from one country to another? Trace the name as far back as you can. Also try alternative spellings. Your family name may have changed dramatically over the years as ancestors immigrated or chose to make things simpler. Search for loosely-related spellings too. If you still can't find the crest, it may not exist. Even though there are some families that do have crests, yours may not. 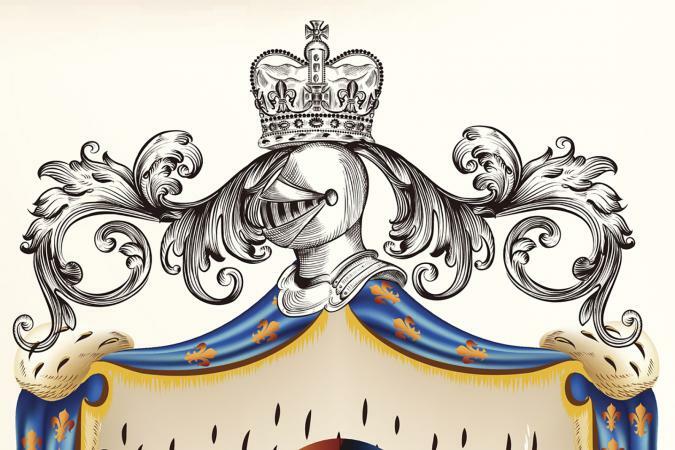 No matter how you use your family crest, it's a fascinating part of your family history. These ancient symbols have meaning that can transcend the years. Understanding and communicating their importance is part of the role of the genealogist.